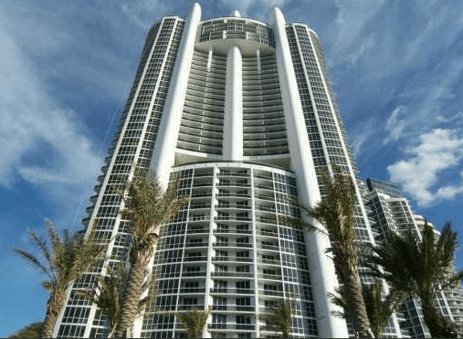 BridgeInvest Residential, recently closed a $3.0 million senior loan cross-collateralized by two waterfront units at the Trump Palace condominium in Sunny Isles Beach. The high-leverage loan represented over 75% of the original purchase price of the units, allowing the borrower to recoup most of their equity in the properties and execute on another condo purchase. Each unit is a 3-bedroom, 3.5-bathroom condo with over 2,000 square feet featuring expansive water views from multiple balconies. Both units are used as investment properties and currently cash flowing. The properties’ prime location combined with the in-place cash flow made this an attractive investment for the newly-formed lender. Born out of one of South Florida’s largest private commercial lending businesses, BridgeInvest Residential was able to leverage its team’s professionalism and quality of execution to structure and fund the deal in less than thirty days. “As with our commercial lending platform, we take pride in our ability to offer flexible and reliable loans which meet our borrowers’ specific financing needs. We are committed to expanding our residential lending business in 2015 to help high-quality borrowers capture timely investment opportunities,” said Alex Horn, Managing Partner of BridgeInvest Residential. Recently formed at the end of 2014, BridgeInvest Residential has now closed several transactions totaling over $7 million. The NMLS approved direct lender is seeking residential loans on investment properties above $1 million secured by prime Florida real estate. As a private lender, BridgeInvest Residential is able to originate loans based on “common-sense” underwriting and does not have any minimum credit requirements. They target maximum leverage of approximately 70% of the property’s value and interest rates can be as low as 8-9% per annum for the right transaction.